As was the case the past three years, this event was held adjacent to the very popular Concord Farmers Market. In fact, this year market vendor booths intermingled with the cars which allowed for optimum crowd flow. 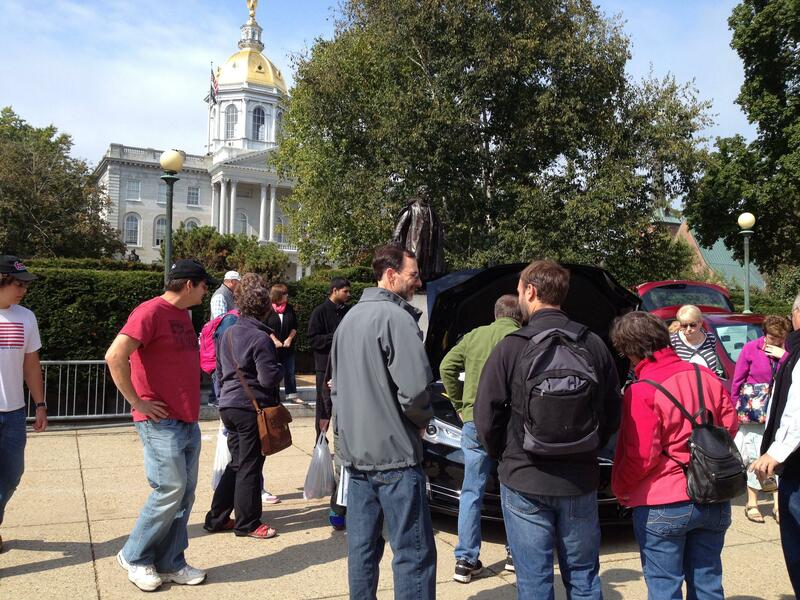 Of the 21 examples of electric transportation displayed, 15 were privately owned, with the owners chatting up the benefits of EV ownership with the crowd. 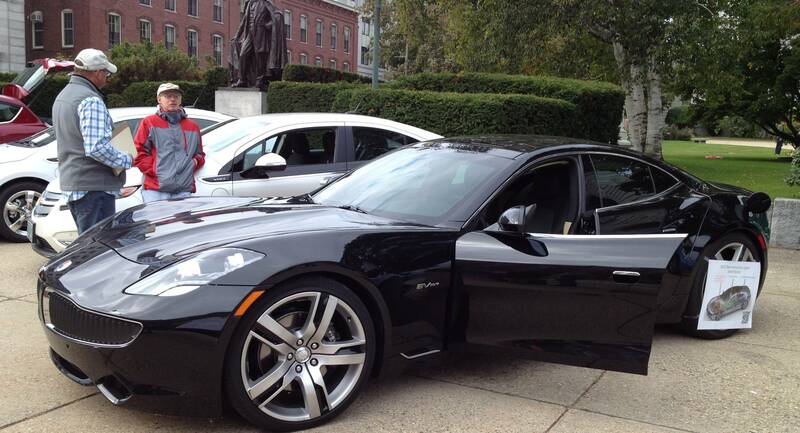 Five dealerships attended with brand new models and literature for attendees. No idea who all these people are. The guy talking in the white tshirt with the Leaf on it is Bob Neidorff, owner of the Leaf. 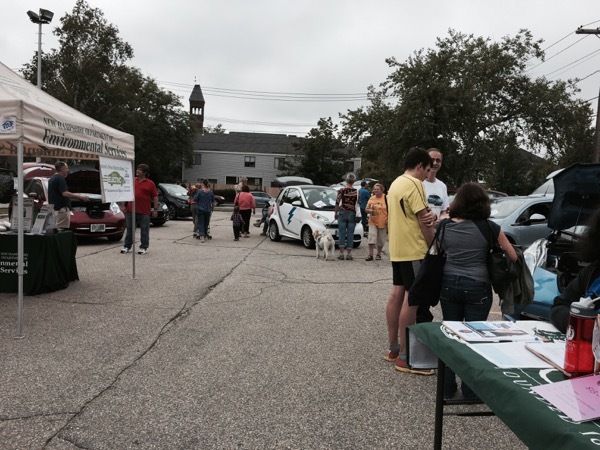 NH CELEBRATES DRIVE ELECTRIC WEEK! This year we will be directly behind the State House, on 33 Capitol Street! due to construction on the Capitol Building's dome. Electric and Plug-in Hybrid Electric transportation of all kinds will be on display, complete with owners ready and willing to talk about why they love their vehicles! The Concord Farmers Market will be running during the show. 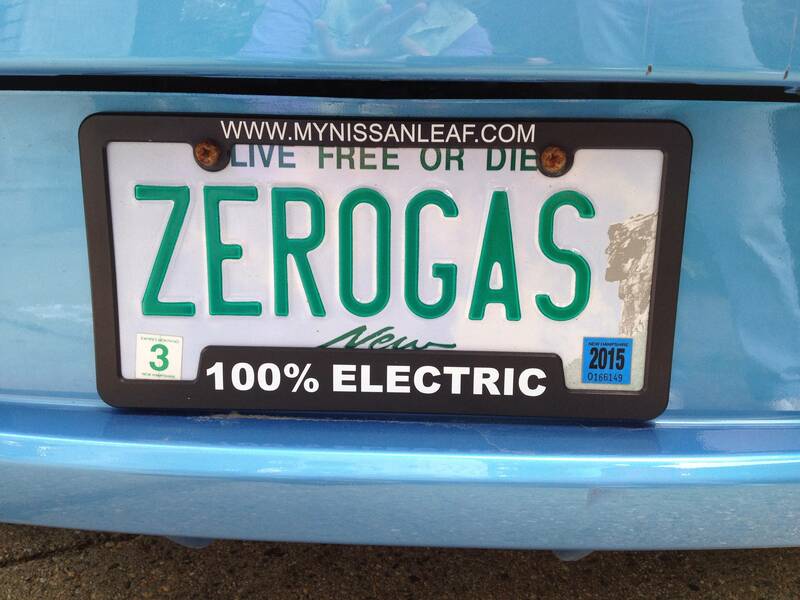 So grab a hot cider, a fresh homemade donut, and bag of applies while you talk with happy electric vehicle owners. Don't miss this lovely fall day in New Hampshire! 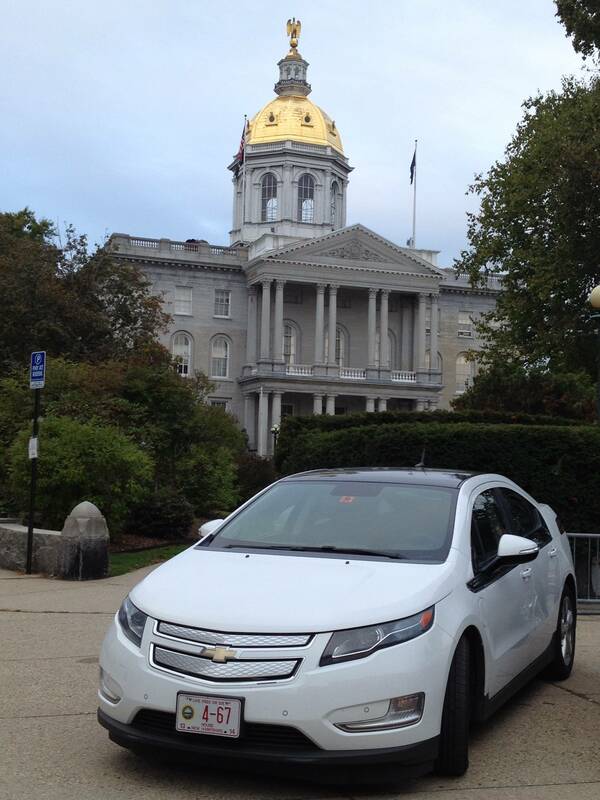 Registered attendees report 177,349 electric miles driven.